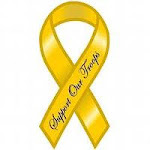 Apologies peeps I am running a bit behind today! You could say it's been one of those days / weeks & I am counting down to my holiday. I'm not going away I am just so looking forward to being able to do as I please & have no long shifts to work or nights on call. I will have two whole lovely weeks off and I feel as if I've never needed a break more than I do right now. I have at last had a little play with my copics again! I haven't coloured an image in weeks & it was strange but nice to get colouring again. I'm on a mission now to colour a Tilda or two over the next couple of days I'm sure that will kick start my missing mojo......hopefully! 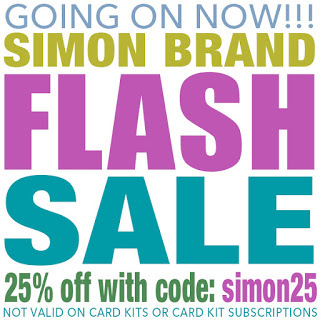 Simon Says Stamp has a flash sale on Simon brand goodies so here's your chance to snag some gorgeous goodies at a bargain price! It has been an incredibly stressful morning as our dear old dog Dude needed an operation this morning & as he's 16 years old we were even more worried than we usually are when one of our fur babies needs an operation. 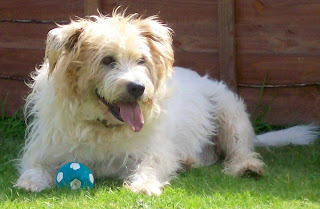 Thankfully Dude is now home, well & fast asleep, & he continues to amaze us & our vet by how strong & fit our old boy is. That's me finished for today peeps, whatever you are doing I hope you have a lovely day. 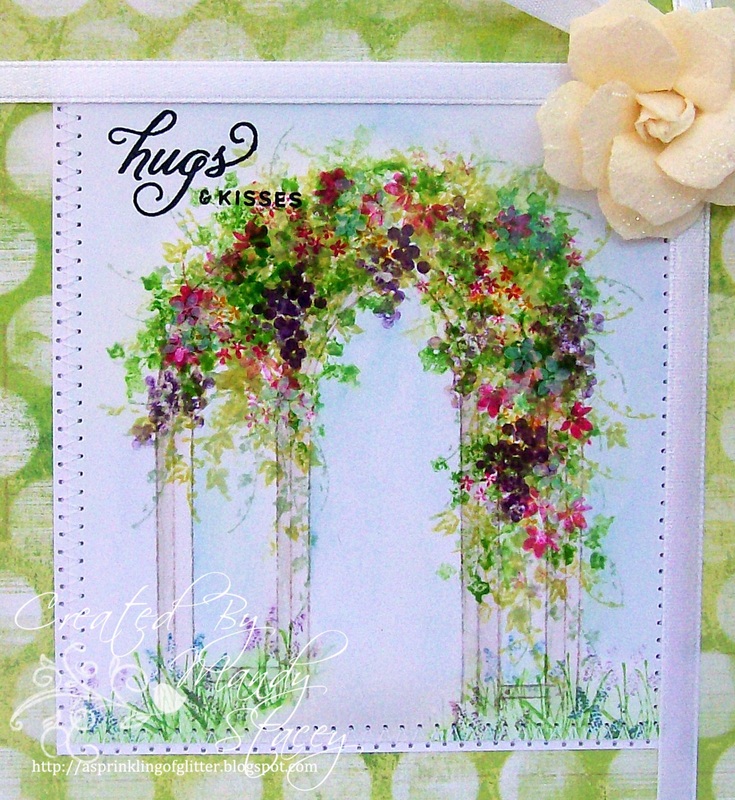 I love the delicate diecut elements added to your design, Mandy! I hope the recovery from surgery will go smoothly with Dude! Rest well, Dude! as usual .. so pretty ! 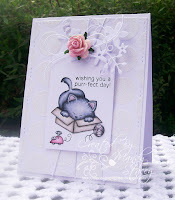 A gorgeous card Mandy, your image is just adorable and such beautiful embellishments. I'm glad Dude is home and recuperates smoothly & steadily!! Love your card, Mandy, and a big sigh of relief for your adorable Dude! LOVE those big polka dots you used in your background! 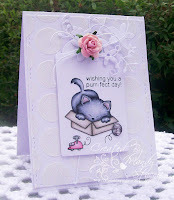 Aww love that cute image Mandy, gorgeous card as usual!! So pleased Dude is OK.
Love how you have coloured your kitty. 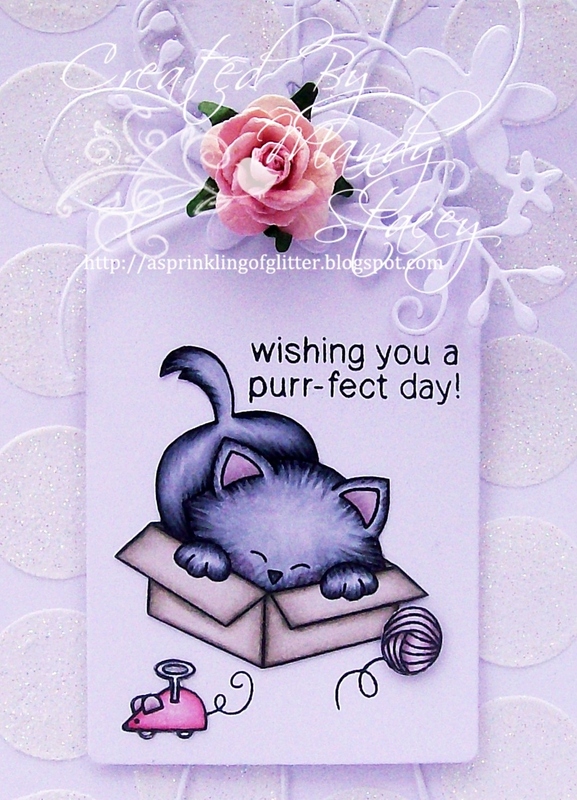 Gorgeous card, Mandy! Wishing Dude a speedy recovery ! 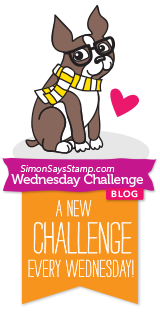 Love your card, your colouring is fab ! Adorable card Mandy!! Too cute! And Dude is just as sweet as can be!! He is soooo cute! Glad he is home and doing well!! And I hope you have a wonderful and stressful free holiday!! You definitely deserve it!! Your card is gorgeous! 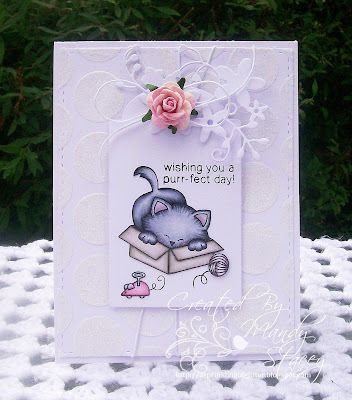 I love the white tonal background and the added filigrees - so pretty!! 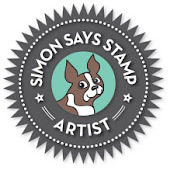 Anything Goes At Simon Says Stamp!